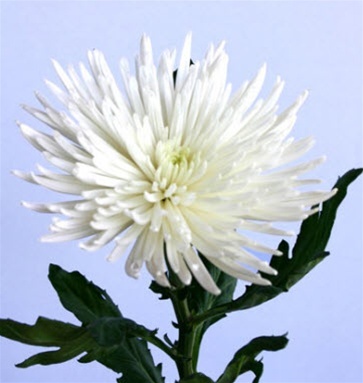 White Spider Mums are spectacular flowers with long, tubular outer petals showering out of a bulb-like center. Spider Mums come in 10-stem bunches. They are favorite flowers for wedding bouquets and table arrangements. Free shipping!